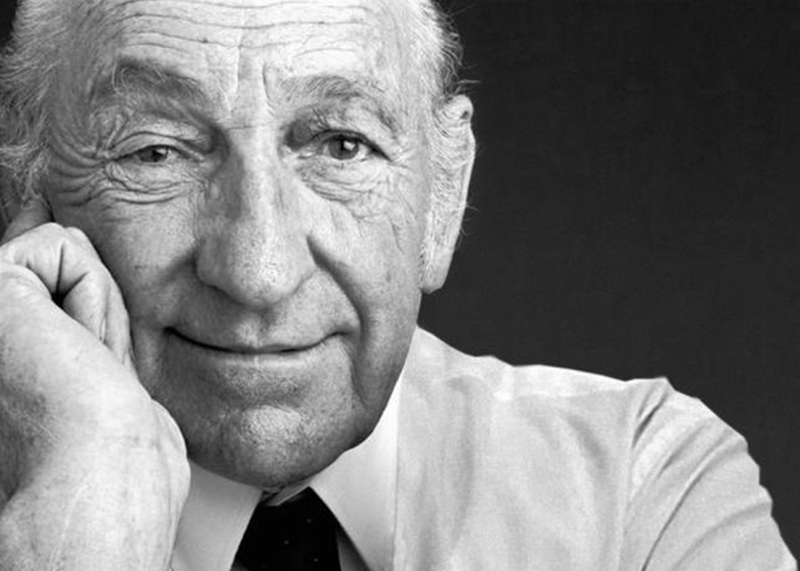 The David Packard Award honors business leaders who work to make the planet more sustainable. Since 2014, the Monterey Bay Aquarium has periodically honored leaders whose activities and achievements embody the qualities of thought and action that my father, David Packard, held dear. These individuals have effectively worked to make the future of our planet surer and more sustainable. This year, we recognized visionary Microsoft co-founder and philanthropic innovator Bill Gates. Bill has done so much to improve the human condition—by harnessing technology to advance social good, and by launching bold philanthropic initiatives to make lives better around the world and ensure that everyone has the opportunity to live a healthy, productive life. We honored Microsoft co-founder Bill Gates for his work, as a business leader and a philanthropist, to improve the human condition. We paid tribute to the scope and the focus of Bill’s thinking and his commitment to using science and technology to improve the future for the people on our planet. It’s a conviction he shares with my father. 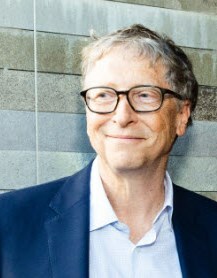 Because of the extraordinary success of Microsoft, the Gates Foundation has had the resources to tackle some of the largest problems confronting the world, and Bill and Melinda’s vision and strategic approach are yielding extraordinary results. The week of September 10, people from around the world are gathering in San Francisco for the Global Climate Action Summit. Convened by the State of California, the Summit brings together leaders—representing nations, states, cities, companies, investors and citizens—to celebrate climate action, and step up their ambitions to meet the targets set by the Paris Agreement. 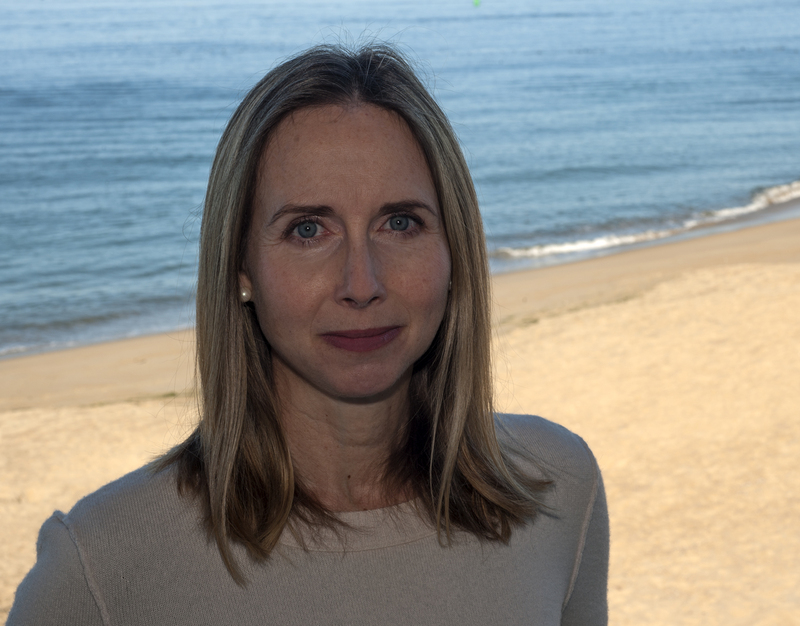 Climate scientist Heidi Cullen, director of communications and strategic initiatives for the Monterey Bay Aquarium Research Institute, shares some of the studies MBARI has undertaken to understand the impact of climate change on ocean ecosystems. Caring about the ocean means caring about climate change. From increasing ocean acidification to coral bleaching to harmful algal blooms, climate change—caused by the burning of fossil fuels—is having a profound and sometimes deadly impact on our ocean. I am tremendously hopeful that recent advances in science and technology will help us better understand and protect the planet’s largest ecosystem. We rely on it for so much! As we celebrate World Oceans Day, it’s too easy to forget about the deep sea. It’s the largest habitat on the planet, and is increasingly threatened by human activities. Monterey Bay Aquarium scientists, and our colleagues at the Monterey Bay Aquarium Research Institute, are working to understand and protect the deep ocean. It’s a big job—and we’ll need your help. 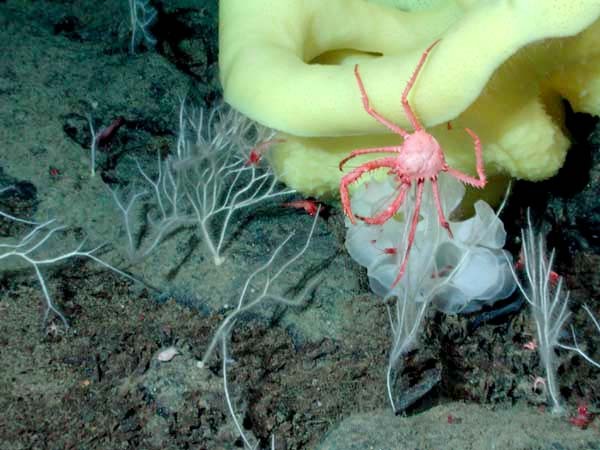 To bring the message about the deep ocean to a wider public, Executive Director Julie Packard and MBARI President and CEO Chris Scholin shared their thoughts about safeguarding the deep sea in an op-ed column published in today’s New York Times. You can read the full commentary, and their action plan for the deep sea, here. For nearly 20 years, researchers from Monterey Bay Aquarium and Stanford University have fitted electronic tracking tags on adult white sharks each fall and winter along the California coast around San Francisco Bay. Each year, the tags documented a consistent migration by the sharks to a region more than 1,200 miles offshore—halfway to Hawaii—that’s been considered an oceanic desert. They dubbed it the White Shark Café, guessing that opportunities to feed and to mate might be the draw. Now a team of scientists will spend a month at the Café in a month-long expedition to learn why the sharks make an epic annual migration to such a distant and seemingly uninviting location. The multi-disciplinary team is bringing an impressive complement of sophisticated oceanographic equipment, from undersea robots and submersibles to windsurfing drones that will search signs of sharks and their possible prey. 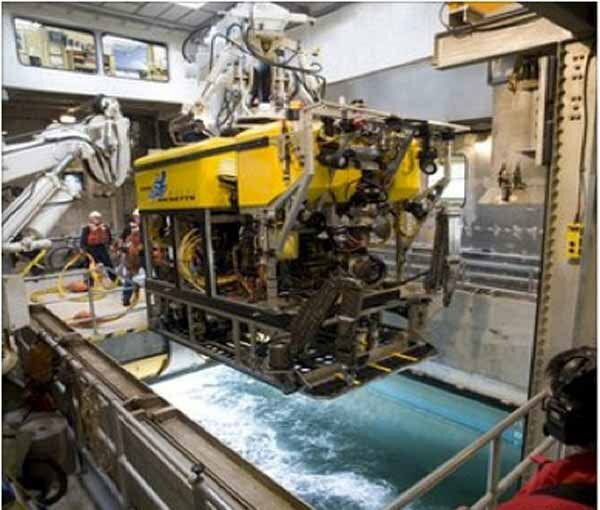 Funded by the Schmidt Ocean institute (SOI), the team is led by Stanford University Professor Barbara Block and includes marine biologists and oceanographers from Stanford University, Monterey Bay Aquarium, Monterey Bay Aquarium Research Institute (MBARI), the University of Delaware, and NOAA’s Office of Ocean Exploration and Research. They are traveling aboard the SOI research vessel Falkor and set sail from Honolulu on April 20. They will return to port in San Diego on May 19. “We’ve studied these sharks for nearly 20 years, and they’ve told us consistently that the White Shark Café is a really important place in the ocean—but we’ve never known why,” said Dr. Salvador Jorgensen, a senior research scientist and shark research lead at Monterey Bay Aquarium. 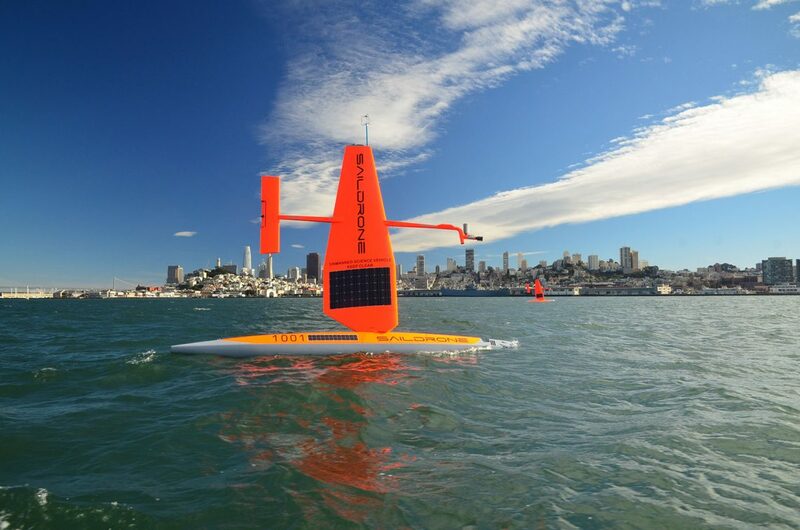 Sophisticated oceanographic monitoring tools like these Saildrones will collect data to document the presence of white sharks and their prey species in the cafe. Photo courtesy Schmidt Ocean Institute. Stretching more than two vertical miles from the seafloor to the ocean’s surface, the water column is Earth’s biggest habitat by volume. 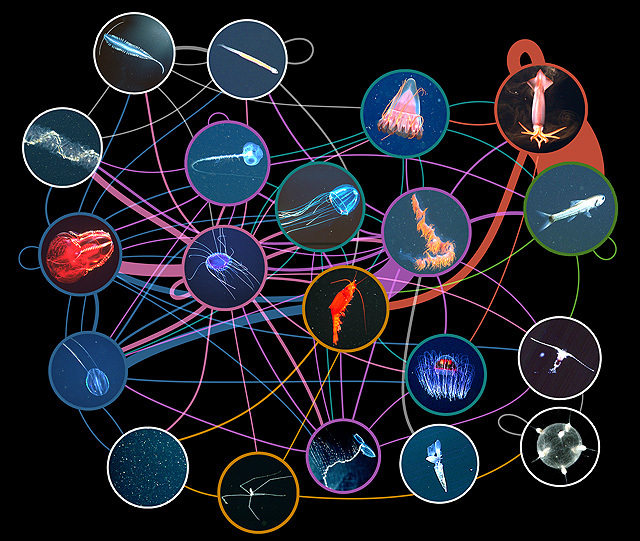 For researchers trying to untangle its complex, multi-tentacled food web—the way energy flows from one ocean denizen to the next—it’s a vast and challenging realm in which to accomplish this task. 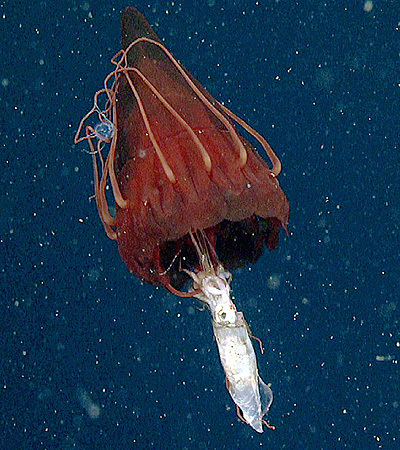 Recent work by scientists at the Monterey Bay Aquarium Research Institute (MBARI) has revealed whole new layers of predator-prey interactions in the water column, particularly in the often overlooked roles played by jellies and other soft-bodied animals—many of which, researchers discovered, feed on their own kind. 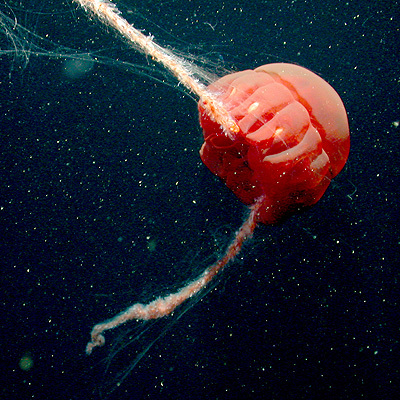 This research is promising, says Anela Choy, the biological oceanographer who led the study, but much more remains to be discovered about deep-sea food webs. 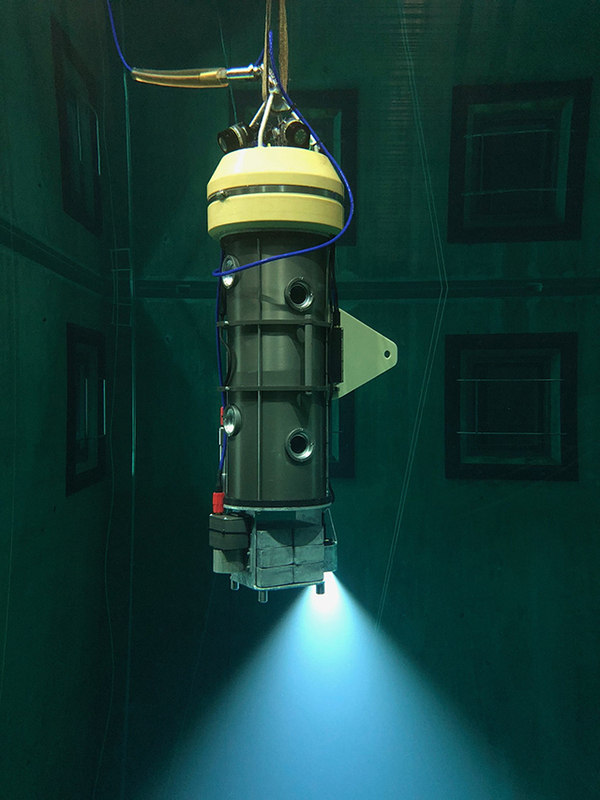 Many feeding interactions in the deep sea are difficult to observe because they take place in total darkness, thousands of feet below the surface, in cold, crushing conditions that test even the capacities of MBARI’s advanced robots. Before the advent of robotic exploration technology, much of what scientists gleaned about food webs was gathered from animals hauled to the surface in nets—or discovered in a predator’s guts. 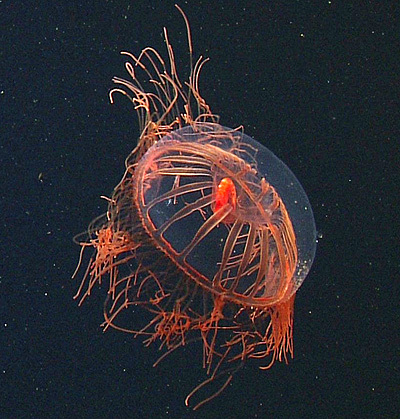 One problem with that approach, Anela says, is that squishy animals like jellyfish and other gelata, while among the most prevalent life forms in this ecosystem, almost never make it to the surface intact. There are other obstacles to understanding food webs. The traditional way of studying diet is to capture an animal and look into its stomach to see what prey have been eaten. Anela notes that gelata digest very quickly and thus are often missed with diet work. So Anela and her MBARI co-authors, Steve Haddock and Bruce Robison, tried a different approach. The high-definition cameras on MBARI’s diving robots have recorded thousands of deep-sea animal observations since 1989. All of the video has been rigorously archived to reflect its subject, location, time, depth and even water temperature and other physical parameters. From this footage, Anela and her colleagues gleaned a wealth of information: 743 documented instances of undersea creatures eating, being eaten, or having just fed. From the video, the team tallied 242 unique kinds of predator-prey relationships. Many involved jellyfish and other soft-bodied animals, which don’t seem to particularly mind having a robot watch them eat, and which are often transparent, meaning the researchers could easily peer inside their bodies to view their most recent meal. In their published study, they documented the complexity of predator-prey relationships they uncovered from this treasure trove of data. 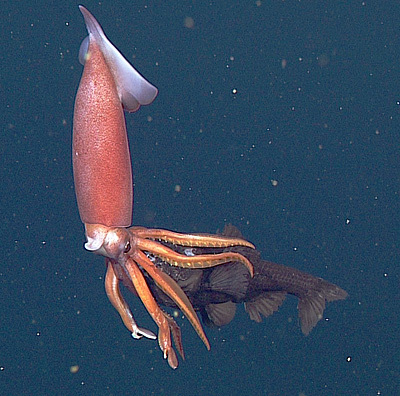 A key illustration from the study draws lines showing predator-prey interactions between 20 different functional groups seen feeding on each other in the footage, from fish to crustaceans to jellies to cephalopods like squid. Fittingly, the resulting tangle of colorful who-eats-whom lines resembles a jellyfish. “Jellyfish get kind of a bad rap,” Anela says, noting that some biologists cast them as nuisances—trophic dead ends that don’t feed back into the food web. One species of jellyfish was observed eating 22 different kinds of prey. “Our method gives you a totally different view of the interactions going on in the food web,” Steve Haddock says. Still, Steve says there’s much left to learn. “Even though this method has revealed a large diversity of interactions, there’s still a whole other universe of interactions we haven’t discovered,” he says. The next layer of discovery may not come from video observations. Steve sees great promise in techniques like analyzing predators’ gut DNA for hints about their recent meals. Another avenue that is already widely utilized is compound-specific stable isotope analysis, which looks for chemical signatures that might accumulate in a creature’s tissue from eating certain prey. “There will continue to be a lot more revelations about food web connections,” Steve says. Our ever-growing understanding of those connections, she says, will be critical to stewarding the ocean in the future. At the bottom of the ocean, amid vast, pitch-dark expanses of mud, there are a few exceptional, rocky places: undersea mountains. Here, the muddy seafloor and burrowing worms give way to bedrock and beautiful gardens of corals and sponges. 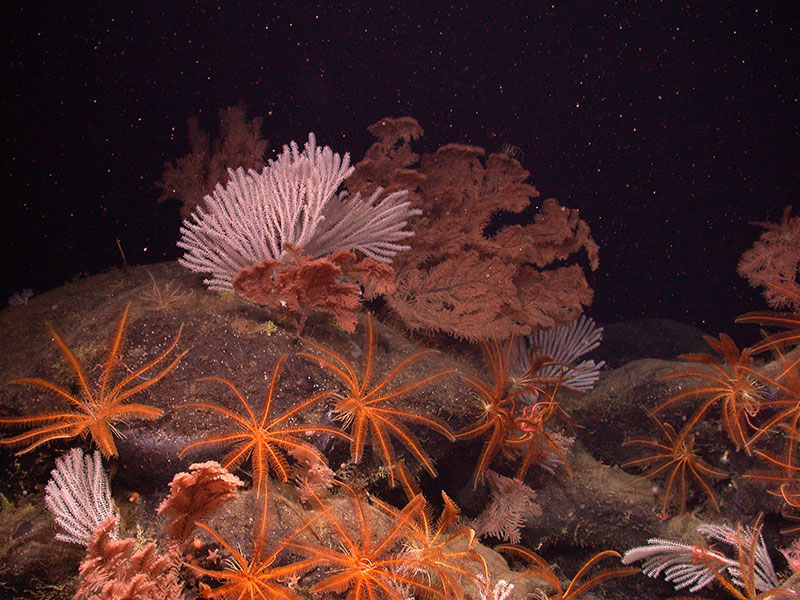 Some seamounts are covered with ancient corals and deep-sea sponges that stand a meter tall and resemble oak trees. They’re also home to anemones, clams, small crustaceans and all manner of fishes. Many of these creatures rely on smell instead of vision to find food in these inky waters, at least half a mile deep. Seamounts are a frontier for scientific discovery, both for basic research, designed to fill knowledge gaps, and for applied research aiming to solve practical problems. Biotech companies, for instance, are interested in unique chemicals produced by deep-sea microbes, sponges, and mussels, which hint at pharmaceutical applications from antibiotics to fighting cancer.